In Utah State it is illegal to serve alcohol to someone to the point of intoxication. In other words, you are not allowed to get your customers drunk or to serve alcohol to a customer who is already drunk! This should be simple, right? Unfortunately, it can be difficult at times to determine if a customer has gone past their limit or are near the point of intoxication if they are naturally good at hiding obvious signs of intoxication (some people are professional alcoholics, after all) or if they had consumed a few drinks prior to entering your establishment. In the instance you do come across a drunk customer (whether you are responsible for their inebriated state or not), you may be called upon to use your persuasive skills to sway them from attempting to drive home in their drunken stupor. 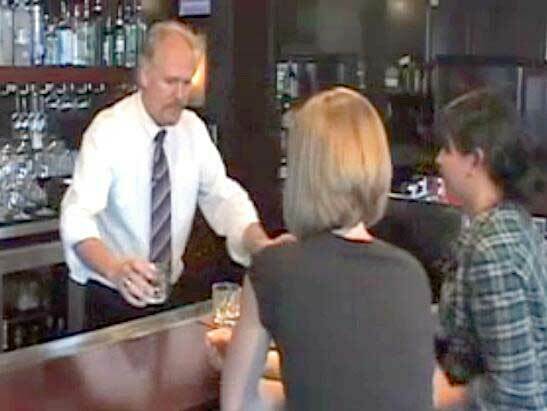 How might you go about doing this as a Utah Alcohol Server or Bartender? Some of the well-known methods include convincing the customer to allow you to get them a ride home, or perhaps doing your best to keep the customer distracted with food or conversation (while cutting them off from receiving any more alcohol) in order to give them ample time to sober up before leaving. Additionally, you can remind them of Utah State Alcohol Laws in order to scare them out of getting behind the wheel of a car. Did you know you can be arrested for a DUI in Utah State just by sitting or napping in your car while drunk? You don’t even have to be driving your car! The legal BAC limit in Utah is a .05 BUT you can still be arrested for a DUI if you have even the smallest amount of alcohol in your system. If you are pulled over and suspected of a DUI from an officer, you are legally required to consent to taking a test in order for the officer to determine your BAC, and you have to take any and all tests an officer requests! Another idea is to research drunk driving tragedies you can share with your customer if they are obviously drunk and are still considering driving. You can also let them know you will call the police if they continue to insist on getting into their car while drunk! Additionally, it is important to be mindful of the perspective you use when trying to prevent an intoxicated customer from getting into their car and/or driving. You do not want them to perceive that you are shaming them, and one way to prevent this is to let your customer know that you are genuinely looking out for their wellbeing. If your customers believe you genuinely care for them they will be more likely to trust your judgement and listen to you. These are just a few of several methods you can use to prevent an intoxicated customer from getting behind the wheel of a car. If you are hoping to learn more in regard to Utah Drinking Laws or need to become certified by a Utah Division of Substance Abuse and Mental Health approved Alcohol Server Training Course, we welcome you to check out our Online Utah Alcohol Server Training Program whenever and wherever is most convenient for you!